When will be Aquarium Girl next episode air date? Is Aquarium Girl renewed or cancelled? Where to countdown Aquarium Girl air dates? Is Aquarium Girl worth watching? Shima Yuka works as an OL at a large general trading company. Suddenly, she is transferred from her office to an aquarium that is affiliated with her company. She now works as a keeper at the aquarium and her senior is Kaji. 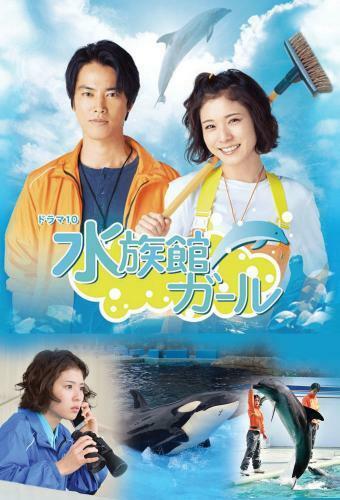 Yuka Shima struggles with her new job and marine animals, but with her bright personality, she is able to grow as an aquarium keeper. Aquarium Girl next episode air date provides TVMaze for you. EpisoDate.com is your TV show guide to Countdown Aquarium Girl Episode Air Dates and to stay in touch with Aquarium Girl next episode Air Date and your others favorite TV Shows. Add the shows you like to a "Watchlist" and let the site take it from there.